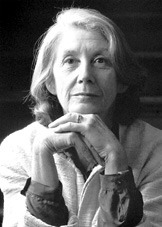 Nadine Gordimer was a South African writer, political activist, and recipient of the 1991 Nobel Prize in Literature. She was recognized as a woman "who through her magnificent epic writing has – in the words of Alfred Nobel – been of very great benefit to humanity". Which book would you like to read in October?